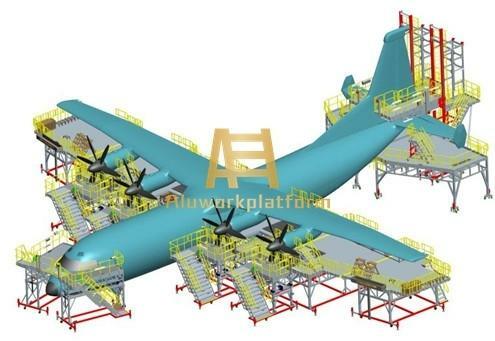 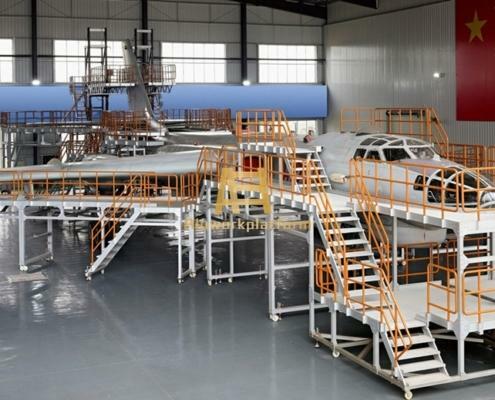 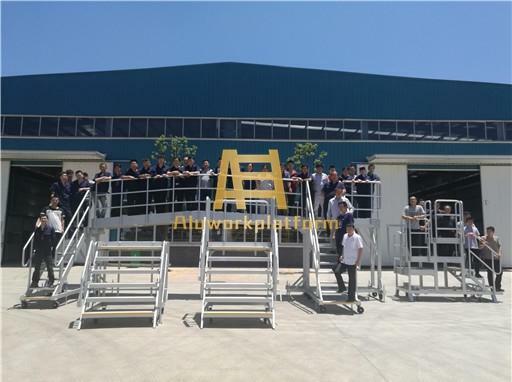 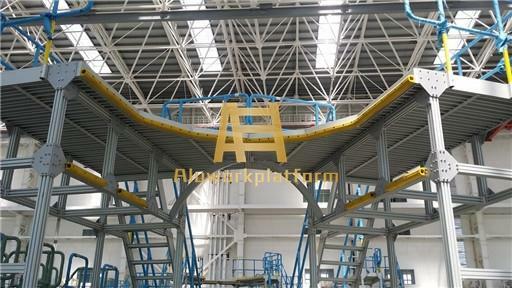 The aircraft docking system including two types according to the application: aircraft assembly docking and aircraft maintenance docking.The assembly docking is applied to manufacture the new aircraft, to assemble all the parts together. 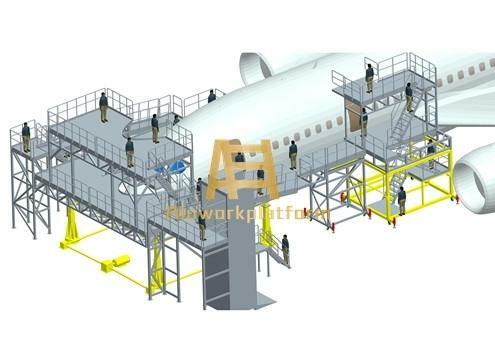 The maintenance docking is applied to repair the aircraft, to inspect and repair the parts, to repaint the aircraft or overhaul the aircraft. 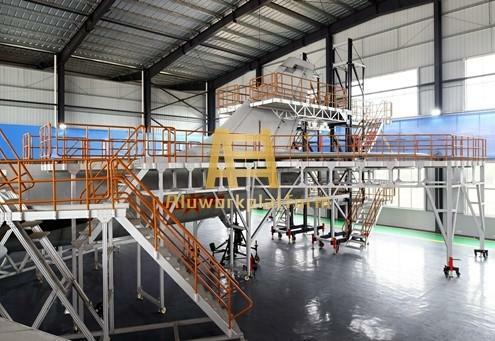 Design standard: EN12312-8、ENISO14122、MH/T3012.17-2010、GB17888 or other required standards. 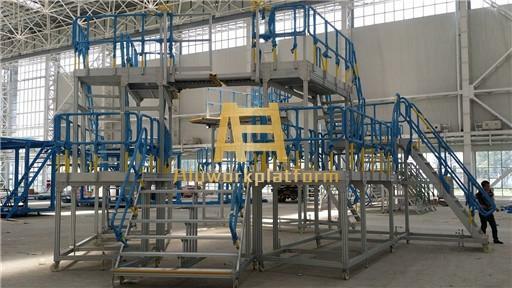 The main body is made of high-strength aluminum alloy, which with light weight, good-looking and long service life. 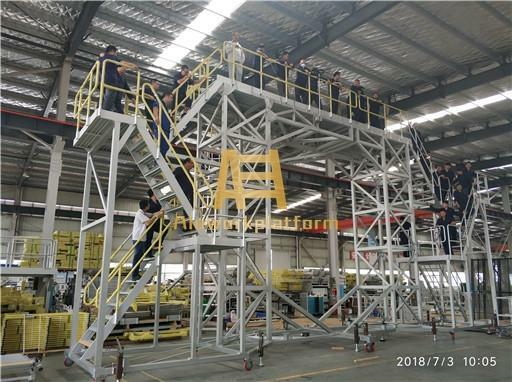 The docking system is equipped with a complete set of functions including lifting, moving, safety protection, electricity, lighting, fire protection and so on. 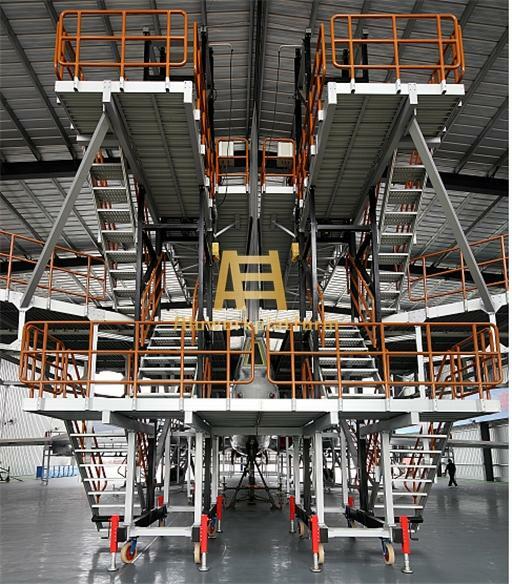 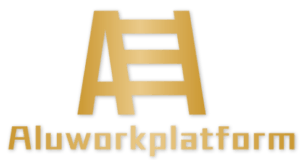 Height-adjustable on wheels and jacks, or electrical height-adjustable on platform posts. 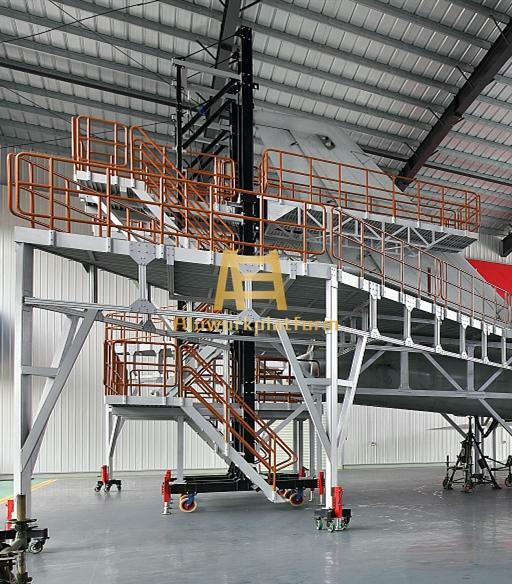 Finish: mill finish, oxidation or painting. 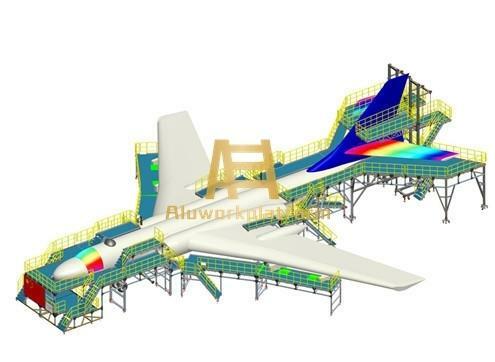 3D design, customized for different aircraft models.